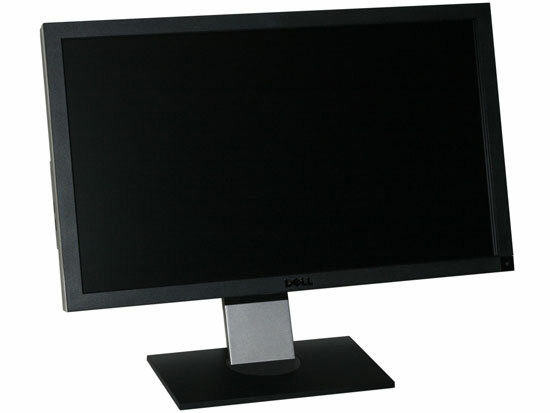 a 27" lcd monitor review??? you guys should do your research and see what your users actually use, what portion of your demographics actually use a 27" $1000+ monitor? write articles that are practical for your users and that your users would be interested in, no this i have $1000 lying around and then ontop of that i have $700 for an sli or crossfire setup to handle the insanely high resolution for this monitor. Wouldn't that mean that AT also should stop reviewing new CPUs, because the majority of users only buy some cheap Phenoms or core2s? I wouldn't use apple if you gave me for free, but they do have better video connections than PC, PC makers have all these legacy connections including VGA while apple was quick to DVI and then displayport. They chose a strange displayport plug but that's all you can blame them for. Good information about a good product I'll definitely consider. But I was disappointed by novice errors about pixel pitch. Claim: Small pixel pitch makes text hard to read. The windows dpi setting is limited to 96 and 120. This is a particularly bad error because so many people fall for it. It's important for a tech site to hammer home the right answer here so that people set up their displays right. Smaller dpi always improves text. It doesn't make text smaller because you just adjust the dpi setting to whatever you want. Smaller dpi just gives better-resolved text. XP had problems but since Vista this has worked well in Windows so you shouldn't perpetuate this mistake. The text isn't worse; it's simply smaller, and *that* is indeed harder to read for many people (especially those who are 40 and older). Changing the DPI will help with the text problem, true, but there are all sorts of other artifacts. Take web sites that tend to use a set width (AnandTech and tons of others). You can get big text with a change in DPI, but the images stay the same. It's not an ideal way of working. Also, if you're working at a 120 DPI, documents and spreadsheets and such don't look the same on other PCs running the default 96 DPI. It's one of those "issues" I glossed over. Icons are another. When I switched, there were all sorts of oddities that I wasn't anticipating; I've mostly come to grips with them, but it would have been nice if the 120 DPI setting had just scaled everything but images "perfectly". I suppose that ideally I'd want my text DPI set at 192 for some things, but I'd prefer my icons and Windows UI elements to stay at 96, and other areas would be nice to have at 120, and.... You get the point. I think by using the magnification capabilities of Word, Excel, and most browsers I can get around changing the DPI altogether... almost.